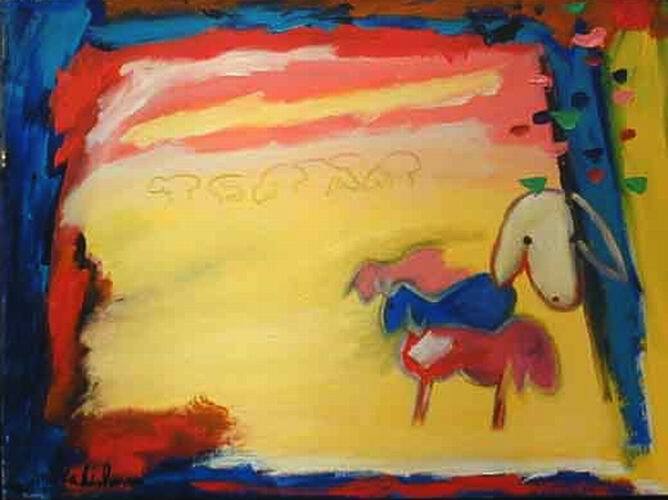 Note: All images in this page are probably copyrighted - I collected them from various web-pages on the Internet, for my personal enjoyment. 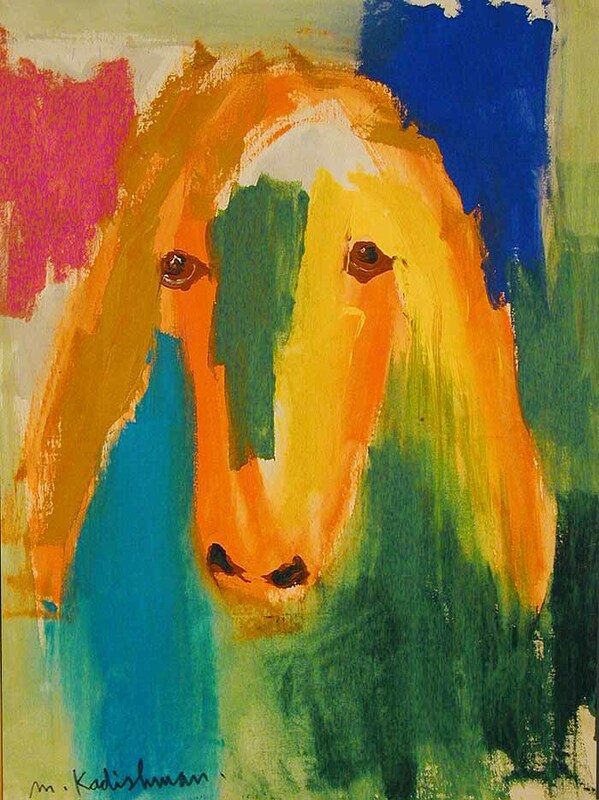 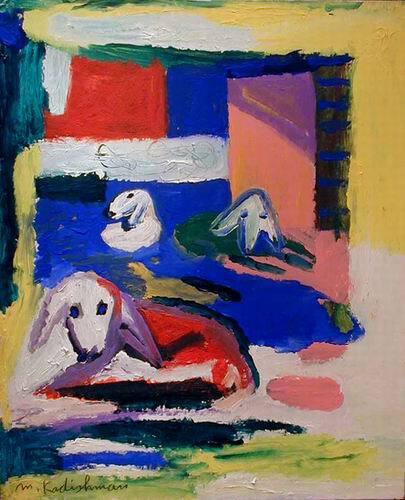 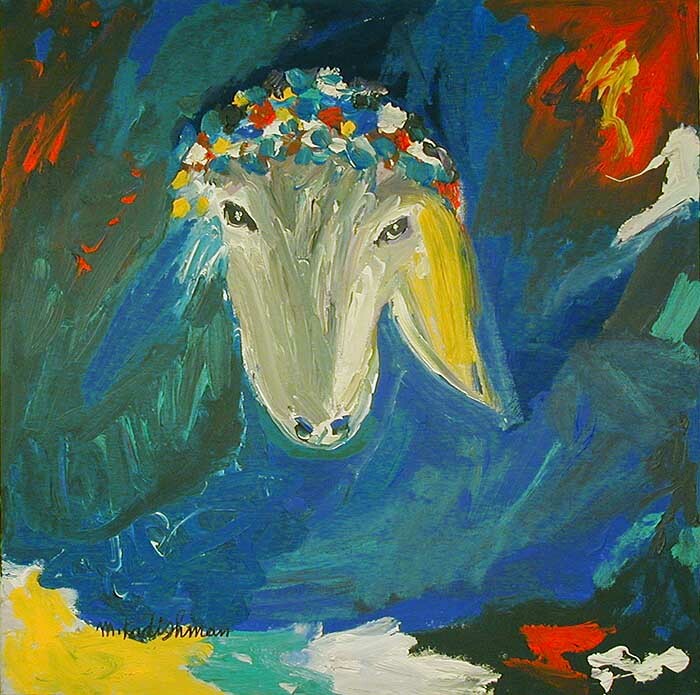 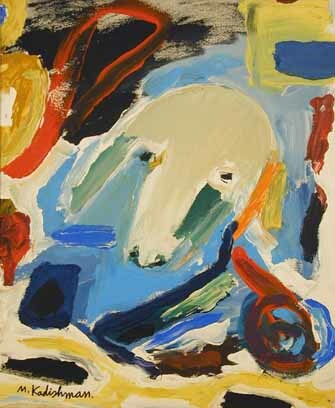 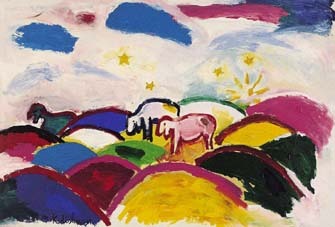 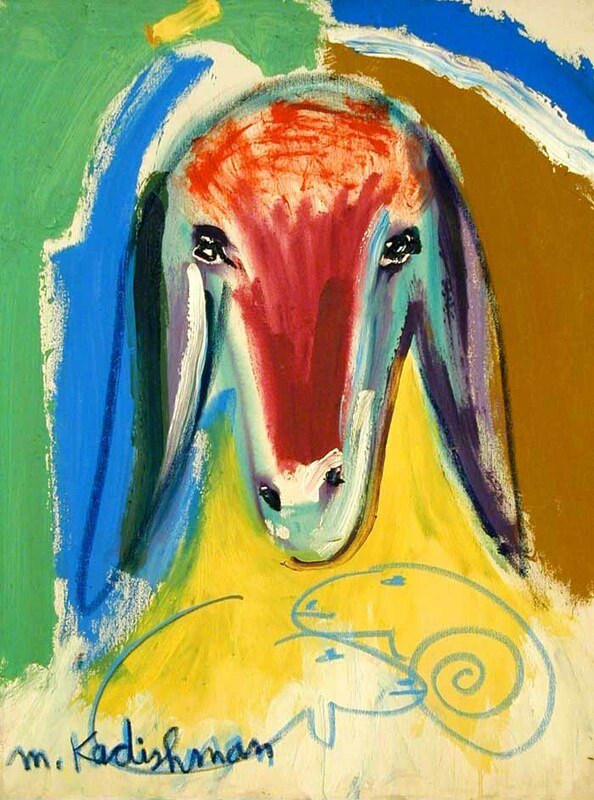 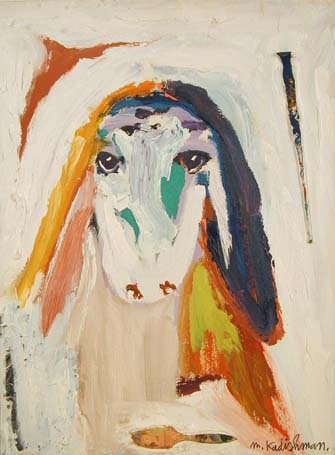 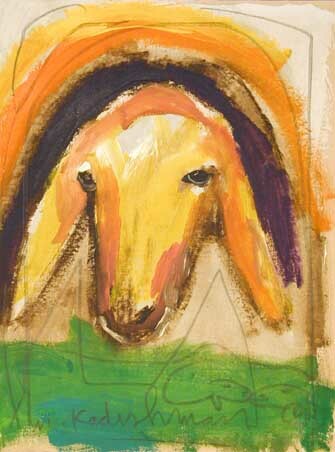 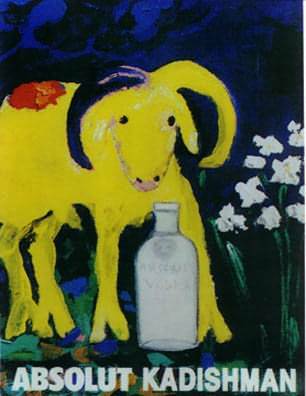 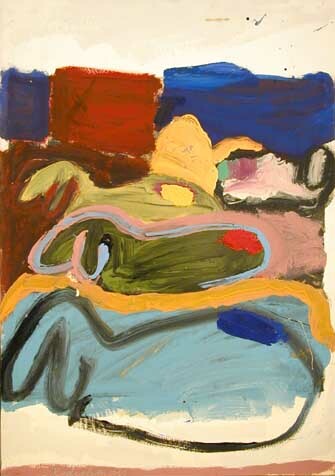 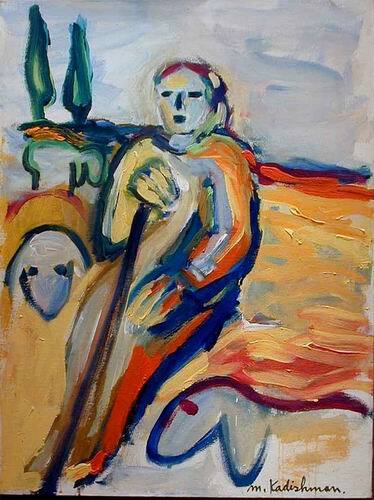 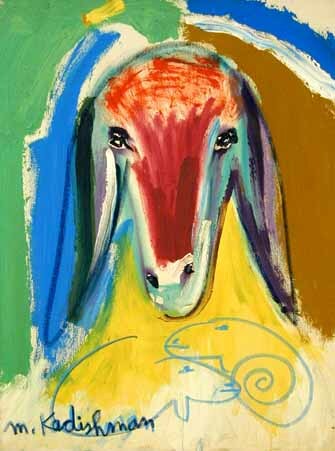 I am a proud owner of a cheap reproduction of one of Kadishman's sheep portraits. "Although recognised primarily as a sculptor, Menashe Kadishman is an artist whose artistic expressions are not restricted to a sole medium. 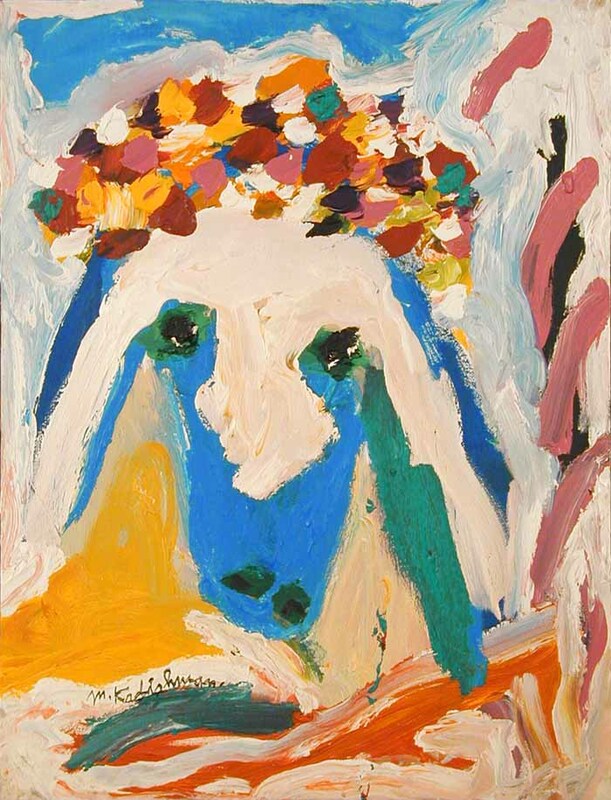 Born in Tel Aviv, Kadishman has always questioned established ideals and materials, and chooses to follow his own whimsical impulses in his works. 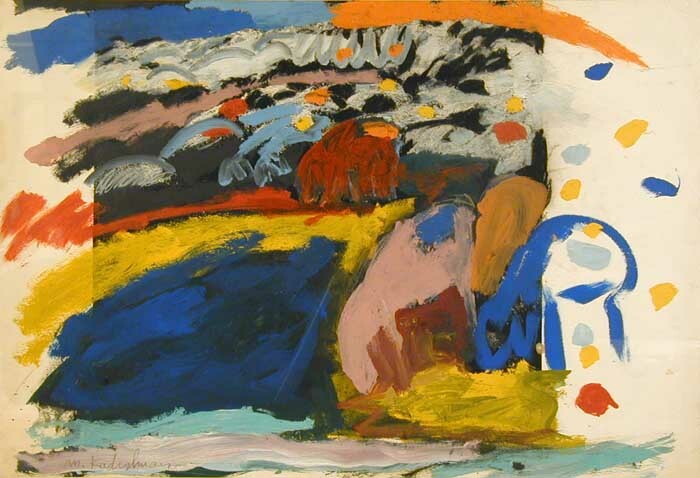 Through his works, he not only expresses his attachment to nature, but also his love of life. 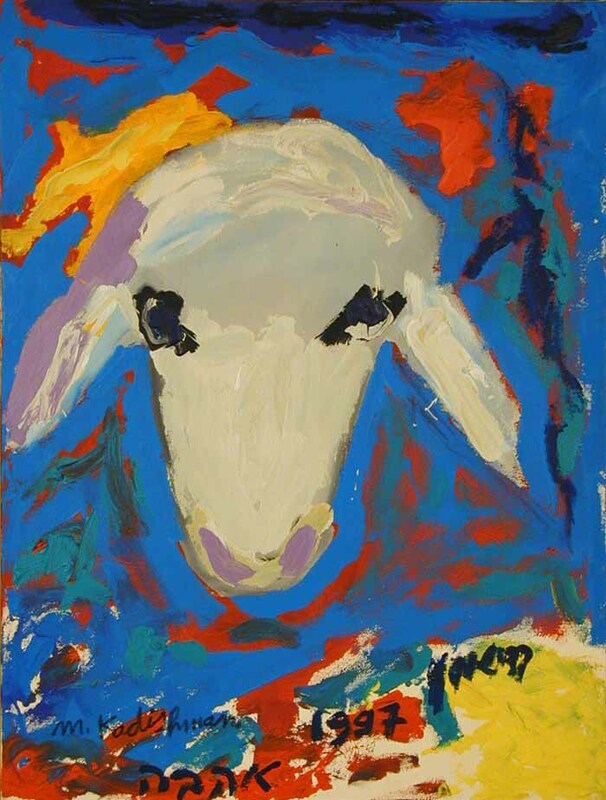 The first major appearance of the sheep in his work was at the 1978 Venice Biennale, an international biennial convention of contemporary art. 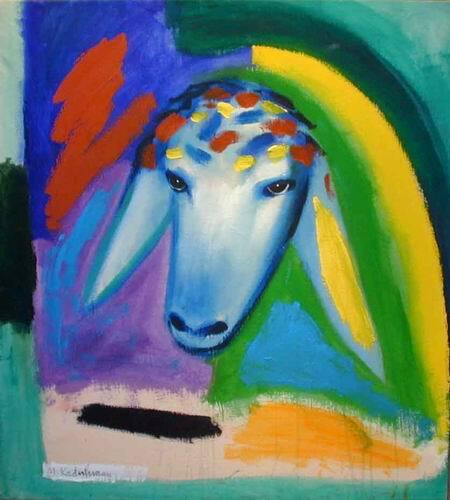 There he presented an actual flock of sheep and himself as shepherd, like a living sculpture. Each exhibition is unique to the host country as the work is installed to suit the surroundings of the venue."